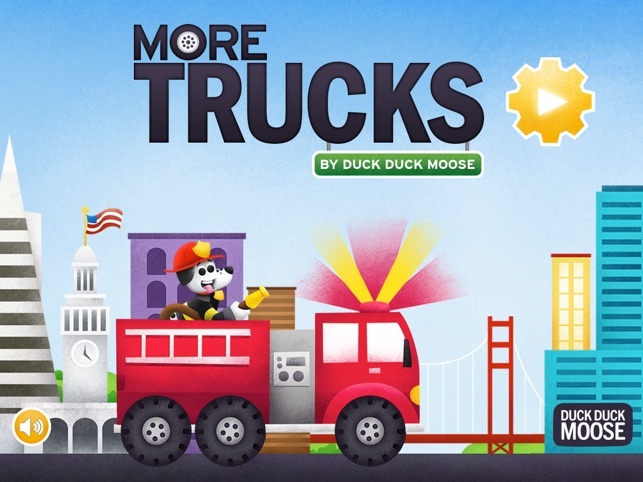 An award-winning creative play app, More Trucks has 4 new activities that stimulate young imaginations and teaches sequencing, sorting and problem solving. FIRE TRUCK: Hose down the fire and save San Francisco. 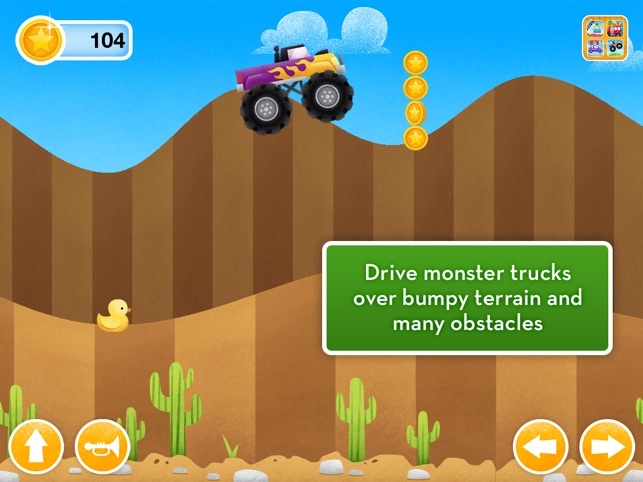 MONSTER TRUCKS: Drive 10 monster trucks over bumpy terrain and obstacles. 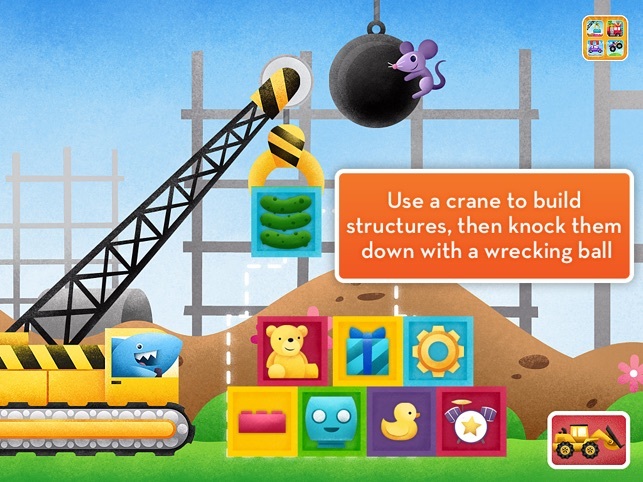 CONSTRUCTION SITE: Build structures then, knock them down with a wrecking ball. 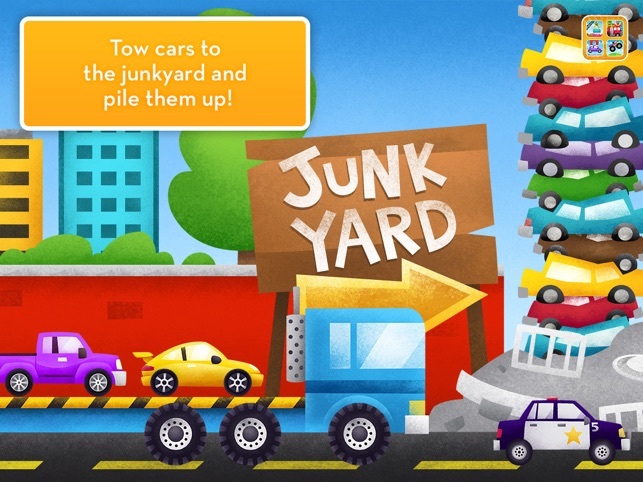 TOW TRUCK: Tow cars to the junkyard and pile them up! AGES: 3-7. 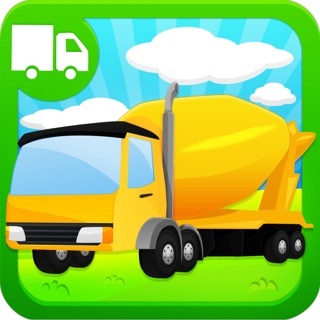 I would give this app 5 stars. My son loves it but all of a sudden it won’t work when I put my iPad on Guided Access. Really a shame. 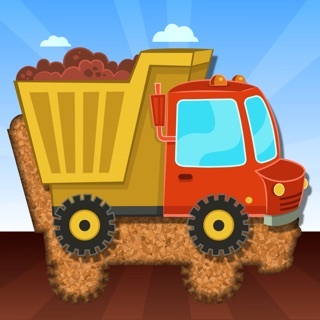 I am loving this game! 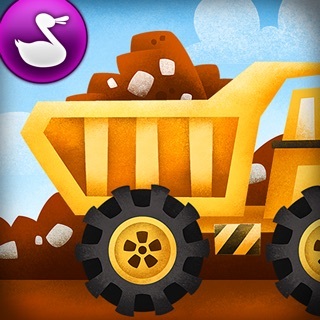 I downloaded for my 3 year old grandson and he loves it too! 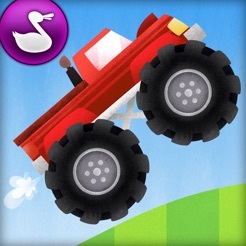 It's one of the best games out there for toddlers, especially little boys that love monster trucks, fire trucks, any kind of trucks! It's totally kid friendly. By collecting coins along the way he gets rewarded by having a series of monster trucks unlocked, one cooler than the other. 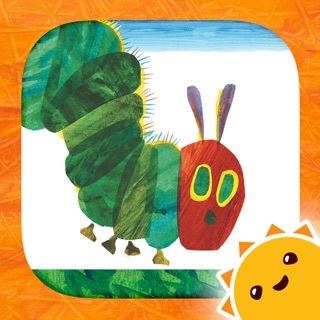 There are no gimmicks, no annoying in-app purchases. The graphics are great. 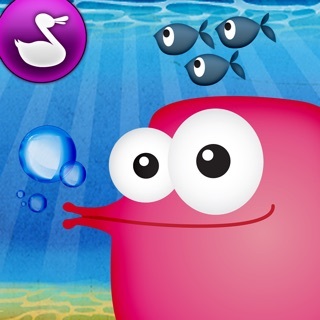 There are 5 cool games in one app. It's definitely worthwhile. I highly recommend this one! I love Duck Duck Moose apps. Many of them are easy to use for my special needs toddler. 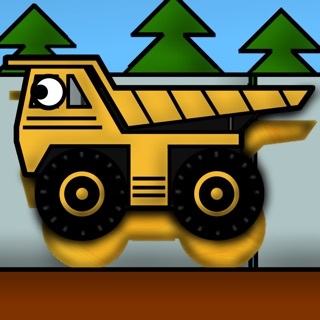 On the original Trucks everything works with just a tap of baby's hand; however, on More Trucks its a little harder for little hands to use because little arrows at the bottom of the screen have to be touched to make the trucks work, it don't work by touching the truck except for the fire truck. Wish it was easier for little hands and minds.